Teeheehee! 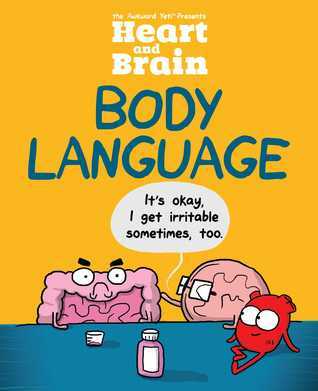 I really enjoyed this collection of fun illustrations showing the colourful inner lives of internal organs. I particularly liked the fun and non-judgemental references to anxiety and an overwhelming apathy towards exercise. Both things that I really relate to! First off, I love the illustrations in this book – they’re simple but effective. They list all the things that I think every single woman can relate to if they’re being honest with themselves. It covers everything from socialising, romance and choosing food and sleep over either of the above. Things that I can totally relate to! 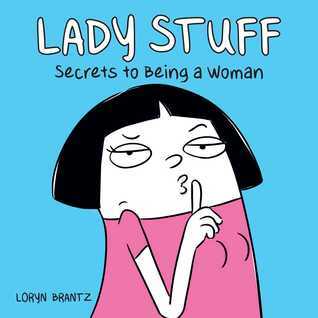 The best thing is that this book isn’t just funny – it’s so relateable that you have to wonder if there’s a rule against sharing secret female information. 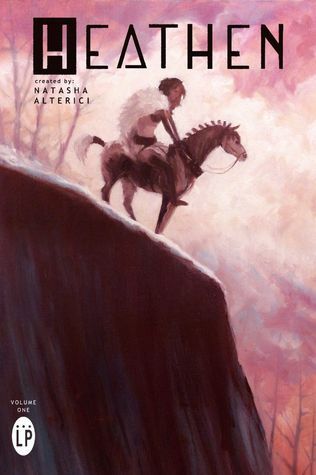 Heathen Volume One collects the first four issues of the acclaimed fantasy series from creator Natasha Alterici. Aydis is a young Viking woman, who after being banished from her home, sets out on a mission to right the wrongs of a corrupt god. Her first move is to find and free the cursed Valkyrie Brynhild. Gods, demons, and creatures of lore, Heathen is packed with fun intriguing characters and lavish artwork. The trade features an oil painting cover, cover gallery, and a forward by award winning lesbian fiction author Geonn Cannon. Love. I love this graphic novel and I will simply have to read every other volume that comes out to make sure that I live a fulfilled life. This is the first graphic novel that I’ve read which centres around LGBT characters – it uses Norse gods and dark and dramatic illustrations to explore different attitudes towards gay people, and it’s simply divine (pun intended). The storytelling is strong and the characters truly compelling, I can’t wait to see who they bring in next! As a lover of Norse mythology, this was the perfect read for me and I am in awe of the artwork. I was devastated when I realised that I’d come to the end of the volume…. can only hope that the next installment will be out soon or I may have to be overdramatic and weep. 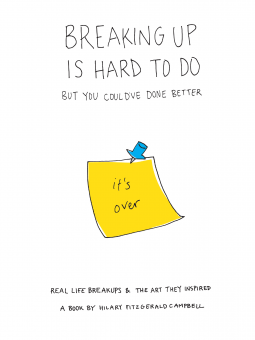 This book is a collection of breakup stories that vary from sad to truly outrageous, coupled with some casual illustrations to really hammer the issue home. I can’t really think of a single situation in which reading this book would be comforting, not even in a ‘at least you weren’t broken up with like this’ capacity but it was a really interesting read all the same – we all love the sordid details so we can wince at some of the shittiest breakups. The one thing we can take from this book, however, is DON’T BREAK UP WITH PEOPLE LIKE THIS OR YOU WILL END UP IN A BOOK.